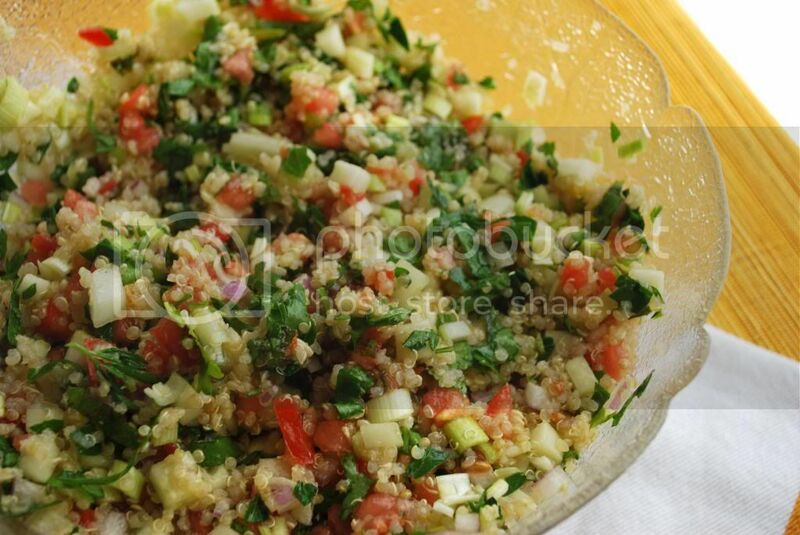 I'm a huge fan of tabbouleh. 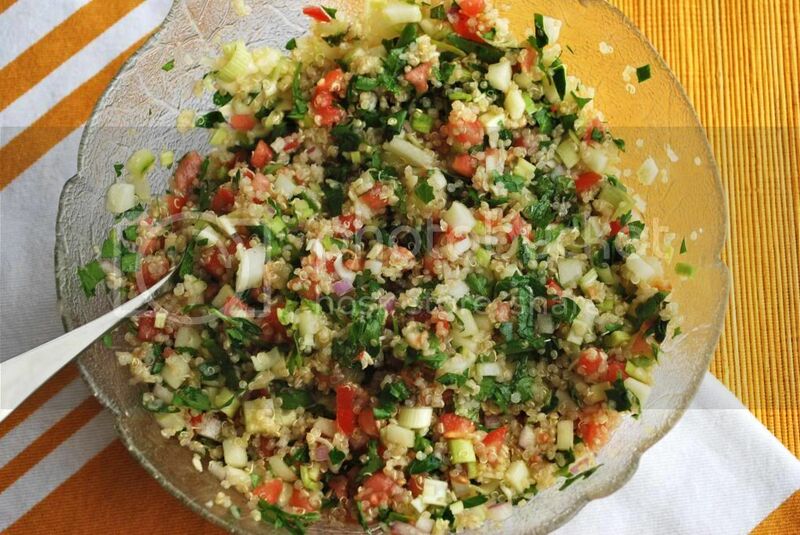 I am hugely annoyed however, by the bland tabbouleh sold in most grocery stores and delis. I'm always lured in, thinking I'd love a nice fresh salad full of flavor and then I'm disappointed when it turns out to be old, soggy or just plain tasteless. I think maybe the stores are afraid to put too much garlic in it for fear their customers don't want to wreak of garlic— not me! I'm surrounded by mini-mes all day and I don't care if they tell me my breath stinks. I'll eat that stuff all day long! Besides the flavorless sauce I'm also not a huge fan of how wheat makes me feel later- tired, bloated, cranky. 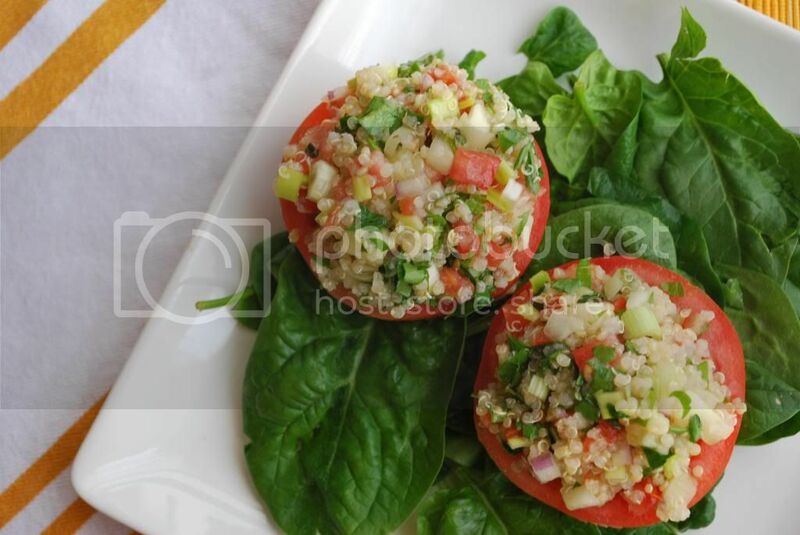 I feel like tabbouleh may use wheat as a base, but just like pasta dishes, its all about the other ingredients and the sauce- that's where are the flavor is coming from. You could use a lot of different things as your base in this dish: hemp, minced cauliflower, even rice would work. I decided to use quinoa since it's similar in size and texture. 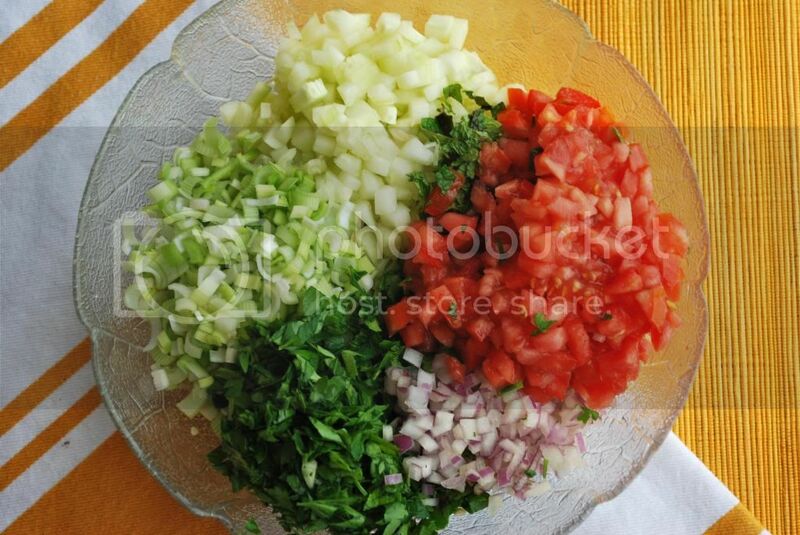 But like I said, the key to delicious tabbouleh is loading it up with ingredients with lots of flavor and sauce. I didn't skimp on the herbs, tomatoes or cucumbers because that's the fun part. This salad is great by itself, stuffed in the tomato; but it would also be amazing over kale or other greens. Scoop centers from tomatoes and dice the center. 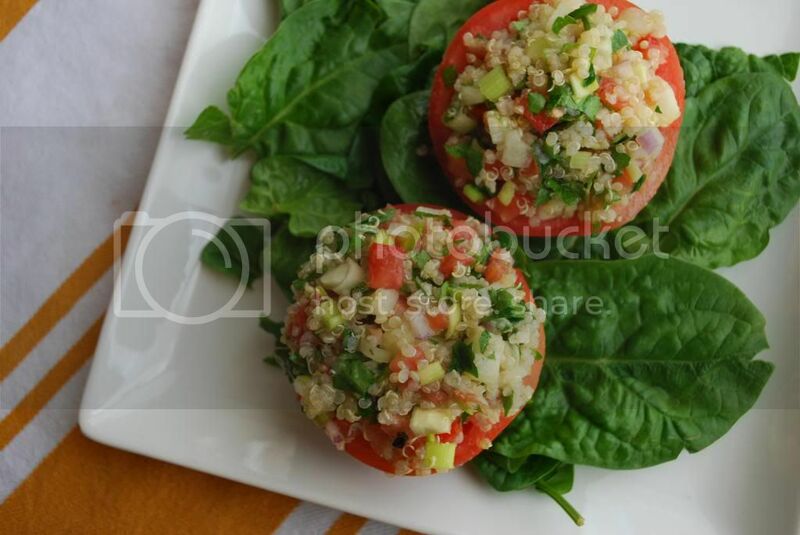 Combine quinoa, cucumber, tomato (including chopped centers), leek, red onion, mint and parsley in a large bowl. 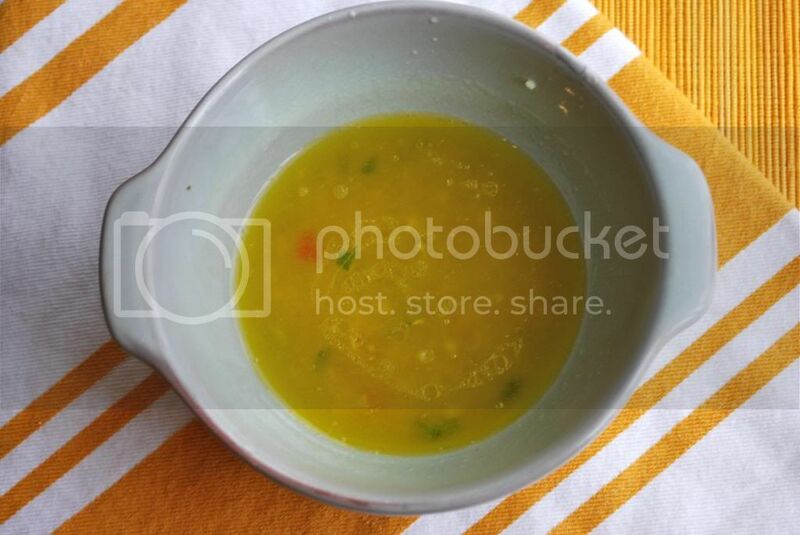 In a small bowl, whisk together olive oil, lemon juice, garlic and salt. 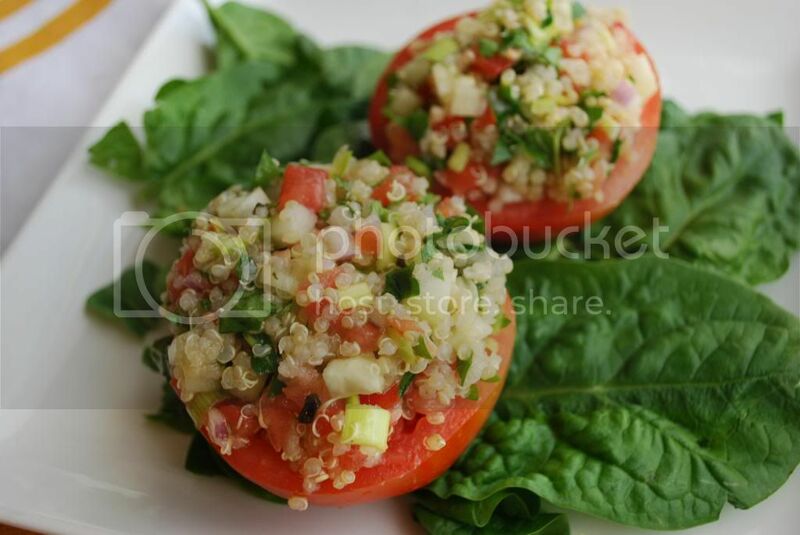 Stuff tomatoes with about 1/2 cup of tabbouleh each and serve. I think I'm going to be keeping a batch of this stuff in the fridge for the next couple of weeks- it's seriously addictive! 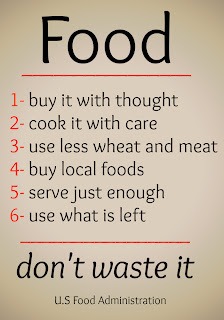 This post is shared at Allergy Free Wednesday, Whole Foods Wednesday, Real Food Wednesday, Gluten Free Wednesday, Tasteful Tuesday and Fresh Foods Link Up. Oh these are so darn pretty! I just love how fresh these ingredients are. I am featuring this lovely recipe tonight on AFW. Thank you for sharing with us.